G is for Guitar- We copied the Sellers and made a G-guitar. Georgia really liked doing it and tried to "play" the guitar when we were done. And she kept saying, "like daddy's guitar!" And, yes, she did get to help daddy play the guitar one night, but that was one of the photo op's I missed! Little brother read the directions from my lap while Georgia planted. G is for Giraffe- We read Georgina the Giraffe about a spirited giraffe that gets herself into trouble by showing off. A fun book Grammie gave us a while back! And I tried and tried to think of a giraffe-craft, but time and imagination ran short! 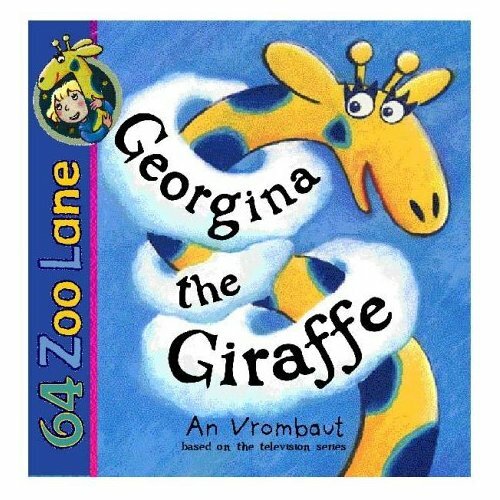 G is for Georgia!- We have a name puzzle for Georgia that I'd put away high on a shelf b/c 1) she'd outgrown it and could put it together really easily, and 2) I was afraid she was going to lose a letter! But we got it back out for this week and she enjoyed putting it together again, pointing out the G's to me, and spelling out her name. Then we traced the letters onto a big piece of paper to spell Georgia and she colored them. She still is NOT into coloring and refuses to learn how to hold a marker/ crayon/ pen more correctly- any suggestions on how to encourage this? Particularly holding a utensil better? Nice guitar! Yours is a bit more accurate with six strings. :) Georgia did a great job on the Curious George garden! She looks so proud of it. I just (by chance) stumbled upon your Blogspot. It's great to see such a happy and blessed family. It's even cooler to see that people realize that those blessings are provided by Jesus Christ!